This is such charming trim! 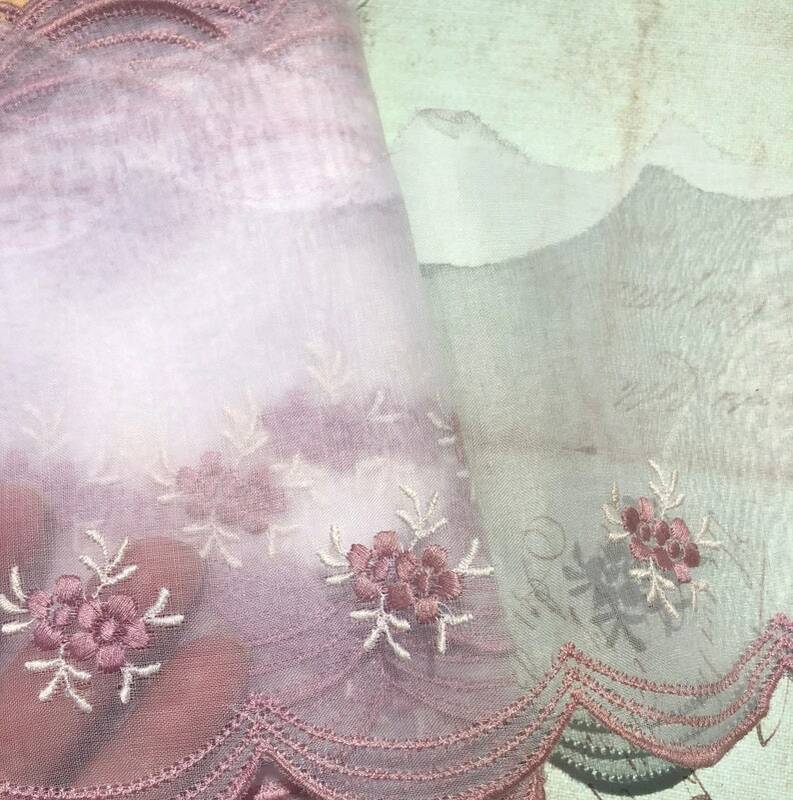 It's a pretty ivory organza fabric, featuring embroidered flowers in a pretty mauve color, and a scalloped edge. I believe this is a cotton organza. This is charming trim that would lend a lovely vintage flair to your sewing or crafts project!